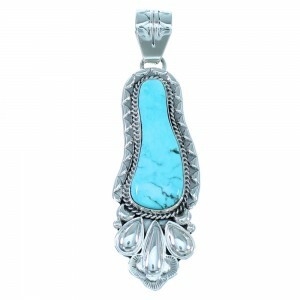 We have an amazing selection for anyone looking for a turquoise pendant. 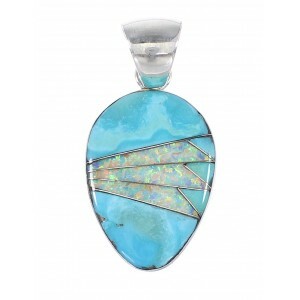 Our collection of turquoise pendants are among the most diverse on the market today. We obtain our stones from various artists and mines to ensure we always have the best products in the industry. 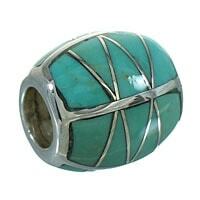 The turquoise stone is highly revered in many native cultures and is believed to harbor immense power and strength. The use of turquoise in jewelry and decoration goes back to ancient times and was even found on the burial mask of King Tut, the ancient Egyptian ruler. 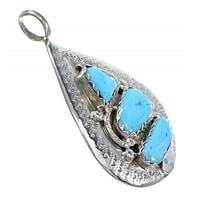 In the Southwest, tribes like the Navajo, Hopi and Zuni make the most beautiful turquoise pendants available. 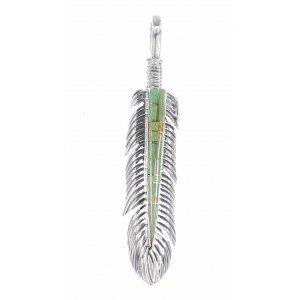 The turquoise pendant is a fundamental part of any Native American jewelry collection. 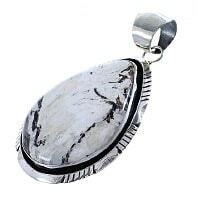 Our selection of Native American pendants are astounding. We have access to some of the best stones and highest quality materials in the world. 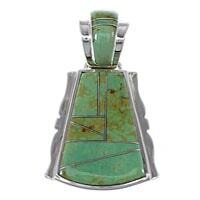 We are able to partner these resources to bring you an outstanding line of turquoise pendants. Now you have access to this selection at a fraction of the price you would pay at a retail store. 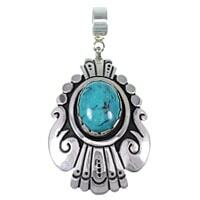 Every turquoise pendant or turquoise pendant necklace we sell is of good quality, but at a fraction of the price you would pay elsewhere. You don't have to sacrifice quality to get a great price. 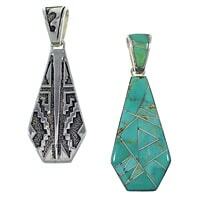 The turquoise pendant necklace has been a timeless and ever changing piece of jewelry and the stone is practically inseparable from the American Southwest and its native people. 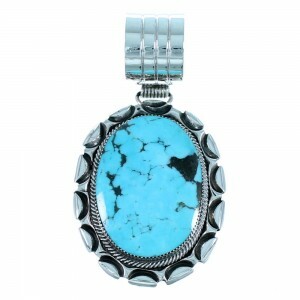 They have been producing turquoise pendants since the earliest days of the incorporation of stones in Native American jewelry. So it's no surprise that the pendant has become such a staple of American art history. 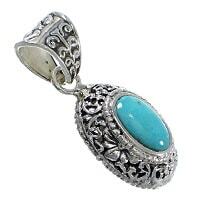 The stones used in turquoise pendants are believed to carry many powers. In ancient times some believed the stone was part of the sky that had fallen. 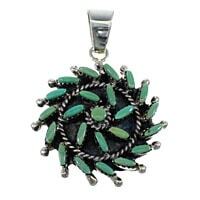 Among the many attributed powers of turquoise are long lists of healing abilities that include strengthening the immune system, healing faster from injuries and it has even been said to help clean out the lungs. Aside from the healing abilities of this stone it also has been claimed to reduce negative thinking, promote unity, and aid in creative problem solving, and who can't benefit from that? 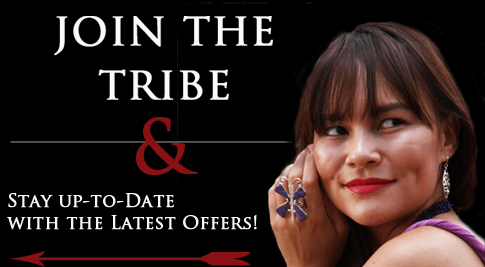 No matter what kind of turquoise pendant necklace you are looking for, you need look no further, SilverTribe has what you need. 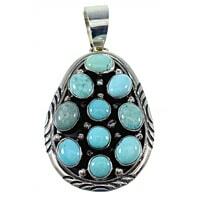 We can't think of a better way to keep you happy than to bring you the absolute best turquoise pendants possible at the absolute lowest prices around. 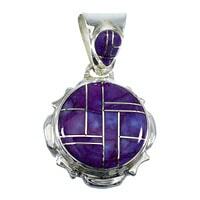 Browse our selection to find the perfect pendant or pin to add to your collection. We work with the most skilled artists in the industry to offer high quality products that never fail to inspire. Our distinctive collection will last for years to come and maintain the beauty, luster and craftsmanship your children and grandchildren will appreciate for generations to come. 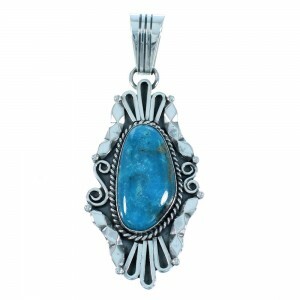 There's no reason to look anywhere else for turquoise pendants, we have the best selection in the industry and carry the widest array of beautify and sought after stones.